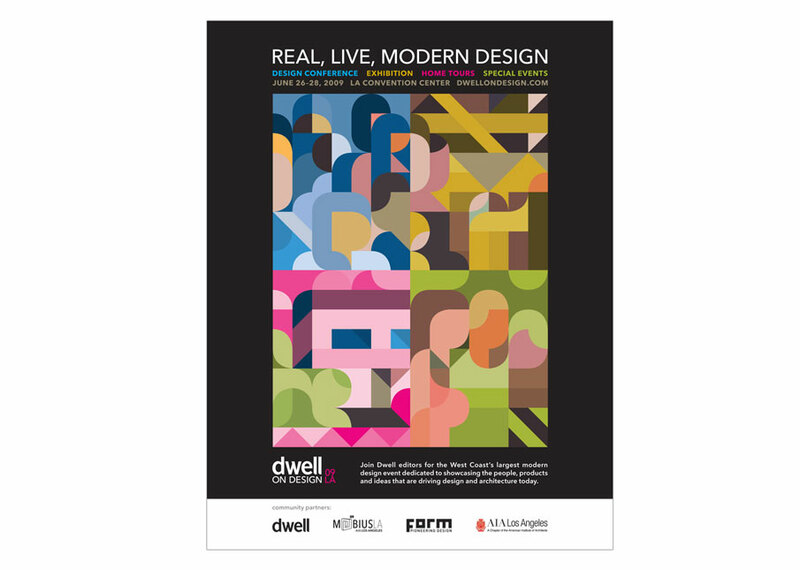 Dwell on Design, Dwell's annual event, is the West Coast's largest modern design show, comprised of four main components: Conference, Exhibition, Home Tours and Special Events. For the 2009 event, I commissioned Siggi Eggertsson to illustrate the four components of the show. These illustrations act as the backbone of all the designed materials.